Just how bad are debriefings? Pretty bad and possibly getting worse. 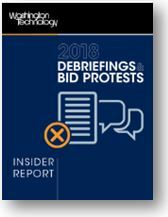 That’s the general conclusion of Washington Technology’s Insider Report on post-award debriefings and bid protests. As the findings show, poor debriefings often lead to bid protests. So while bid protests often are criticized, they are really a symptom of a problem and not the main problem. Generally, companies don’t want to protest. The research showed that a nearly three-quarters felt protests damaged the long-term relationship, but nearly the same percentage said they would protest again. That tells us how important quality debriefings are. Companies want is to hear from their customers how their proposal fell short. This kind of feedback can change how companies do business, what kind of solutions they develop and even who they team with. 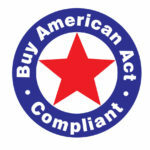 Last month, the Government Accountability Office (GAO) issued a bid protest decision regarding the application of Buy American Act (BAA) requirements to a solicitation for construction. In this decision, GAO rejected the agency’s determination that an offeror’s bid was nonresponsive because the offeror failed to provide certain required information for the evaluation of a potential BAA exception. A summary of the decision and our takeaways are below. Generally, the GAO’s bid protest jurisdiction does not extend to the review of awards made under an agency’s “other transaction” authority; however, the GAO will review a timely protest that an agency is improperly using an OTA rather than a procurement contract. See 4 C.F.R. § 21.5(m). As we have discussed on this blog, the GAO’s standard of review for this question seemingly has evolved over time. Traditionally, the GAO would evaluate whether an agency was attempting to “acquire (by purchase, lease, or barter) property or services for the direct benefit or use of the United States Government,” in which case a procurement contract would be required in accordance with the Federal Grants and Cooperative Agreements Act (FGCAA). See Rocketplane Kistler, B-310741, Jan. 28, 2008, 2008 CPD P 22. This was necessary “to ensure that an agency [was] not attempting to avoid the requirements of procurement statutes and regulations” by exploiting its other transaction authority. Id. However, in two recent decisions, MorphoTrust and Oracle, the GAO disregarded whether the OTA was designed to purchase goods or services for the Government’s direct benefit or use, and instead looked only to “whether the agency’s use of its discretionary authority was proper, i.e., knowing and authorized.” Oracle America, Inc., B-416061, May 31, 2018, 2018 CPD P 180; MorphoTrust USA, LLC, B-412711, May 16, 2016, 2016 CPD P 133 (holding that “although the FGCAA provides applicable guidance to all federal agencies when the choices are limited to (1) procurement contracts, (2) grants, or (3) cooperative agreements, it provides no guidance when determining when an agency may properly use its other transaction authority”). The difference between these standards is stark: one prevents an agency from issuing an OTA where it should issue a procurement contract instead, while the other simply looks to whether Congress has bestowed an agency with sufficiently broad other transaction authority. 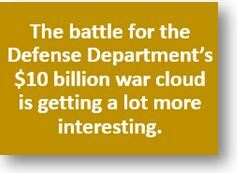 The pre-award protest, filed with the Government Accountability Office (GAO) on Oct. 10, 2018, comes just two days before the Oct. 12 deadline for the Pentagon to accept bids from cloud service providers. IBM officials told Nextgov they still plan to submit a bid for JEDI, but the company’s protest takes issue with the Defense Department’s decision to award JEDI to a single cloud service provider.